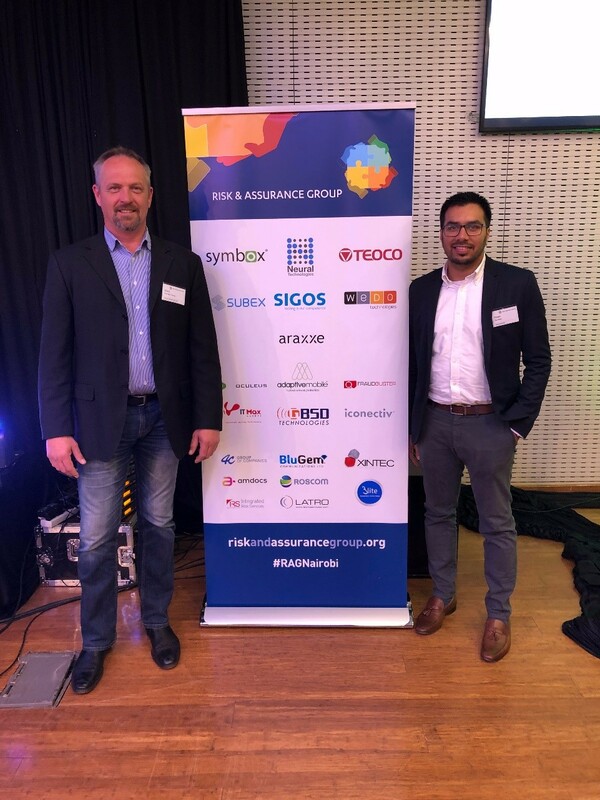 We’ve just finished up an exciting and engaging few days in Nairobi at the recent Risk and Assurance Group (RAG) meeting. The focus of this particular meeting was to take a deeper look at emerging security concerns for operators and review the priorities for fraud prevention in Africa and we spent a great deal of time discussing the latest cybersecurity challenges for operators. We were in excellent company with leaders from Vodafone Group, Vodacom, MTN Group and Safaricom – our hosts – discussing international trends in fraud and risk and how the industry can come together to better protect mobile subscribers. One of the key points being made consistently throughout the 2 conference days was that more sharing needs to be done within the operator community, and indeed also amongst the vendors. We know that core infrastructures are not inherently secured by current standards and we know that additional provisions need to be made. But a recurring theme was that compliance issues also need to be considered as more and more things are being connected and digitised. These new technologies, while promising, also come with their own set of challenges that operators need to be prepared to deal with – but where are we if our core infrastructures are not adequately secured? 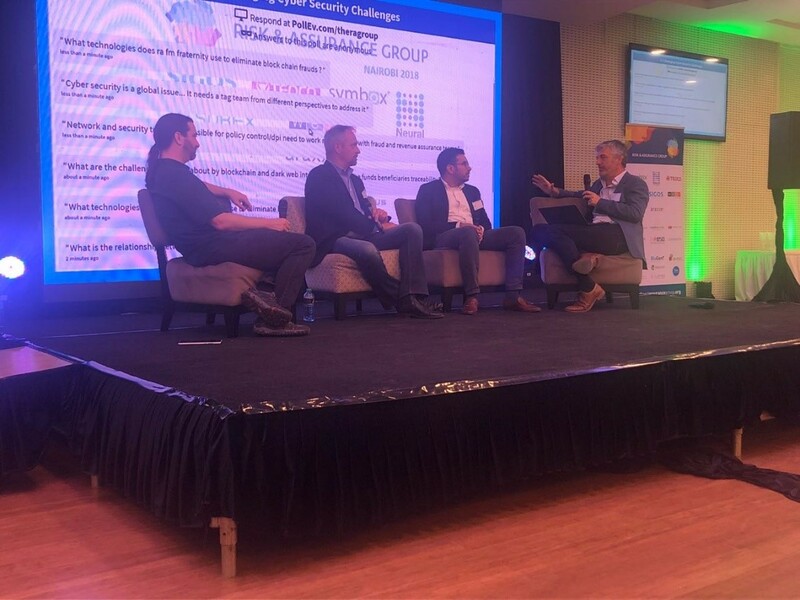 Karel van der Lecq (AdaptiveMobile Security – center-left) and Faaez Burney (AdaptiveMobile Security (center-right)) discussing emerging cybersecurity challenges with Eric Priezkalns (RAG Chief Executive Officer – left) and Luke Taylor (Founder of Risk Reward Awards – right). All businesses are now in one way or the other linked to technology and internet audit and risk functions are all the more important as risks associated with 3rd party functions operating on your platform can also result in damages. It’s now more important than ever to ensure we work together to protect mobile subscribers now, and in the future. Karel van der Lecq (left) and Faaez Burney (right). AdaptiveMobile Security’s Africa Sales Team at the RAG Conference in Nairobi. The RAG group has held regular meetings since 2004, and is the world’s longest running business assurance group. Its focus is on telecoms, covering the most pressing concerns of risk management, revenue assurance, fraud management and security for global operators. For more information on RAG, please visit their website: https://riskandassurancegroup.org/.